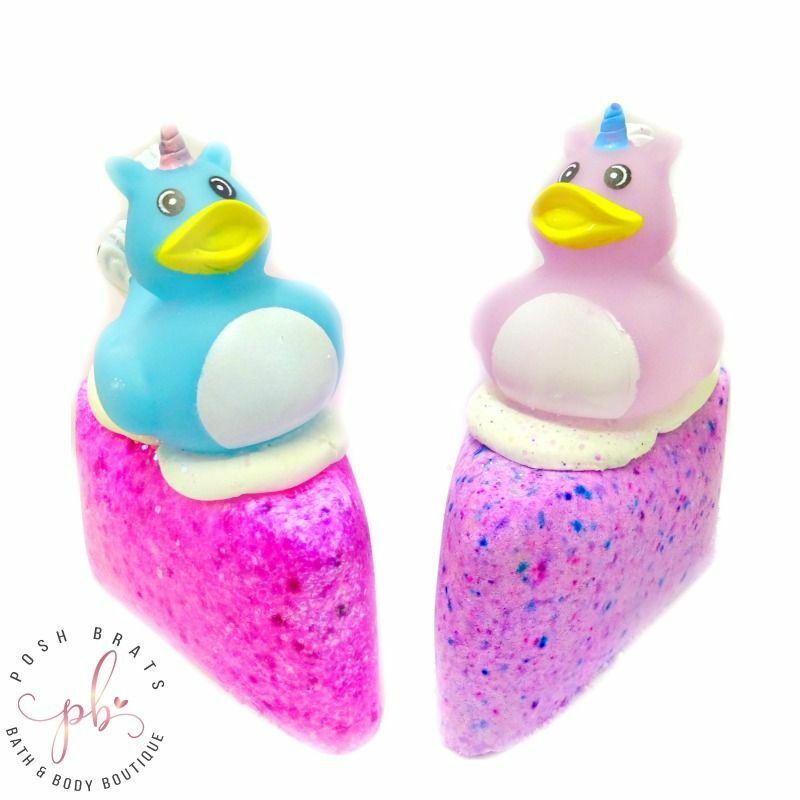 This adorable rainbow cake slice is topped with a reusable Unicorn Rubber Duck. The fizzy butter-rich cake base and frosting are scented with a medley of berries, including strawberries, blueberries and raspberries for a very bright and fruity experience. Turn on your water & remove the rubber duck from the top of the bomb and set aside or just let it fizz free by itself. Drop the cake slice in the water and enjoy the long effervescent fizz and the bright fun colours, lie back and enjoy! Each cake slice weighs around 190gm, these are individually wrapped and labelled. Sold in batches of 6. Please note that the 'icing' and the duck are mainly decorative and are meant to be removed before using the bomb. The frosting is a 'bubble' formula meant to foam and act a bit like a bubble bar, therefore it is not rock hard and it meant to be crumbly. If you are displaying these you should keep this in mind and leave your display slice in the shrink wrap to protect the decoration.